Congratulations on your soon-to-arrive bundle of joy! This is such an exciting time in your life and there is no better way to capture these memories than with custom portraits. Documenting your pregnancy is a great way to share these moments with your loved ones and future child. I recommend scheduling your session for between 30 and 36 weeks, though I am happy to schedule outside of this window if you prefer. I have options for maternity dresses, robes and even tutus or I can help you choose an outfit of your own to wear. The session can take place in either my St. Louis studio or at an outdoor location of your choosing and typically lasts about 1 hour. Partner and siblings are welcome at no additional charge. 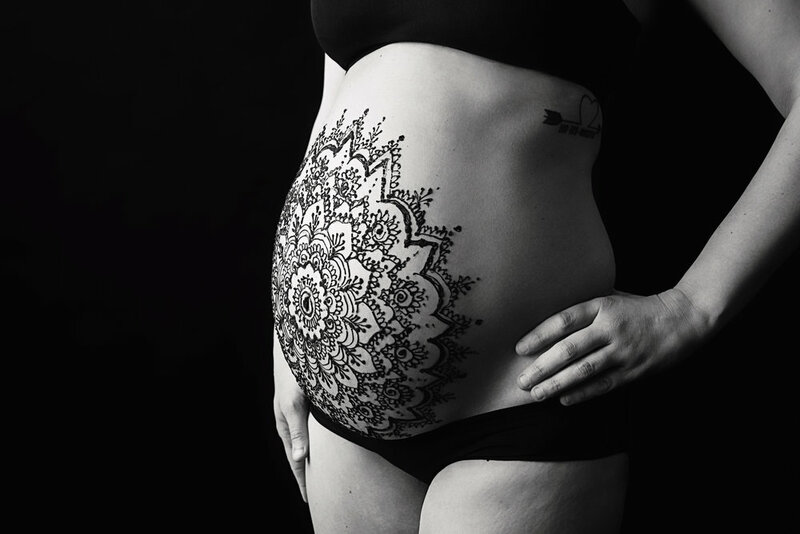 Belly henna is also available!